Where did I put my marbles this weekend? For starters, Berns and I signed up for NaNoWriMo, which if you haven’t heard about is probably the most intimidating bout of dedicated self-torture through literary explosion I’ve heard of and knowingly, even excitedly, volunteered for! NaNoWriMo stands for National Novel Writing Month and it takes place in November. It is a website-launched centralized attack on internal editors and procrastination. It is a unique time-limited ultra specific challenge. It is simply, this: 1 month, 50,000 words. That’s 1666.66667 words per day. As it ascribes itself, NaNoWriMo is a seat of the pants exercise in output. Its sole focus is quantity. Forcing yourself to get it out. The it in the sentence meaning your novel. The one, if you’re anything like Berns and I, you probably didn’t even know you had in you. I am definitely afraid and intimidated — can I really write 6 double-spaced pages a day? Can I write a uniform story? Can I sustain cohesion and interest in it after so much concentrated output? All that aside, Berns and I couldn’t actually be more excited about it. We are forcing ourselves to get our literary bones in shape, which is something we haven’t disciplined ourselves enough to do consistently or routinely in years. Sure, back in high school, we were required to write a minimum of ten pages in our journals per week. But, to be honest, there were many weeks, especially at the beginning, when I didn’t meet that minimum goal. Even when I was more practiced, I had a few tricks up my sleeve — artwork and experimentation with handwritten or typed font size occasionally bought me wiggle room (I can’t say the same for Bernsie — she was much more consistent and dedicated than me). But, in this challenge, the marker is actually much more difficult to wiggle around — it can’t really be fooled by font size or other trickery. It is word count! Yikes. I know I, at least, am in for it. And poor Bernsie is trying to do it in the midst of writing grad school papers. My suggestion to her was to incorporate elements of her papers into her novel. And that’s no trickery. That’s survival. Besides, that gives her direction and may actually make her output more enlightening to read. In the least, I can’t see why she shouldn’t put her academic research to creative use. At least in this format, she has liberty to transform her research into self-propelled fiction. NaNoWriMo is sure to be a madhouse. As I described it yesterday, it’s a literary bootstrap puller-upper and we’re gonna need a lot of stick-to-it-ness to, well….., stick to it. But what it promises to bring us is closer together and closer to a literary community, which is something Bernsie and I haven’t had in a long time (not in the last six years really anyhow). And, at the end of 30 days, we’ll be in shape. We’ll have a manuscript. We’ll have perservered (stuck to it, that is … to be folksy). We’ll have caught the golden ring. And in the mean time, our challenge is to sucker as many others into doing it as possible and by sucker I mean persuade, of course, because we need a large and fully functioning literary community to support us in our marble hiding endeavor. And now all I can think about is what I’m going to write about. I’m actually a little worried that my story and my main characters are a little too fleshed out to start. I am sorta entranced by the idea of literary haphazardness and forcing myself to just keep writing and making unimaginable leaps. To not plan it all out ahead of time so that I am forced to create and draw connections and leap forward in unknown arcs all in the moment. And I know just how much that excites Rachel B as well. So, friends, I warn that through this November process we may not have much time to write or report here since we’ll be saving up our literary output for our novels, but rest assured that you will be hearing from us! You will be able to track our progress through our blog via handy NaNo (our cutesy shortenin’) widgets! To give you an idea of just how difficult NaNoWriMo may be, this post (including its title and this lil’ write-up) is only 893 words! And that’s 773 words fewer than my daily NaNo quota! It would be enough craziness abounding had I just assigned myself one challenge in November, but alas! 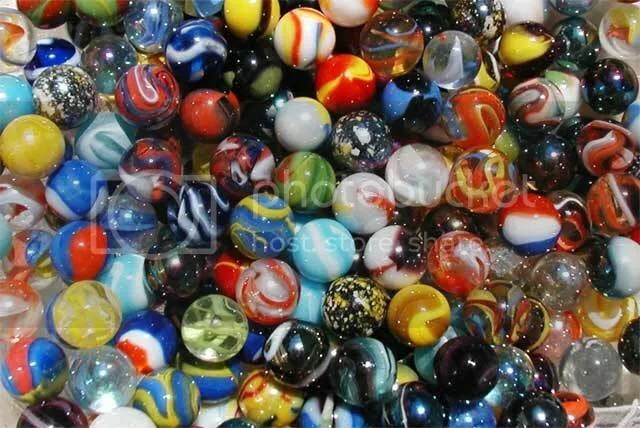 I have completely lost all my precious marbles. I am now trying to discipline myself to not only write six pages a day routinely (three in the mornings and three at night), but also to exercise a minimum of three times per week! I began today with 20 minutes of pilates and 20 minutes of insane upper body cardio/weight-training to work on my arms, shoulders, and core… (the parts of myself I am admittedly most self-conscious about and generally displeased with). So… I’ll keep you posted on my progress toward those goals as well! No I’m not trying to lose weight. I am trying to get in shape. That’s the theme for November… let’s hope they’re aren’t any viscious hidden turkeys to gobble my goals up!